So this week, I began evening classes at Symbol Training to learn how to operate CNC machines. Quite the opposite end of the spectrum from violin making school, where I am not even allowed to touch the bandsaw. I don’t specifically know what I intend to do with all this training in architecture/design, fine woodworking, and CNC, but it sounds like a good combo for making something really awesome one day. Maybe. But pshh, do I really have to pick a side anyway?? I didn’t think so. This is my spruce plate after it was attacked by a fleet of little round-bottom finger planes. It is about .2mm away from final dimensions here, and I will scrape it to achieve the final thickness. 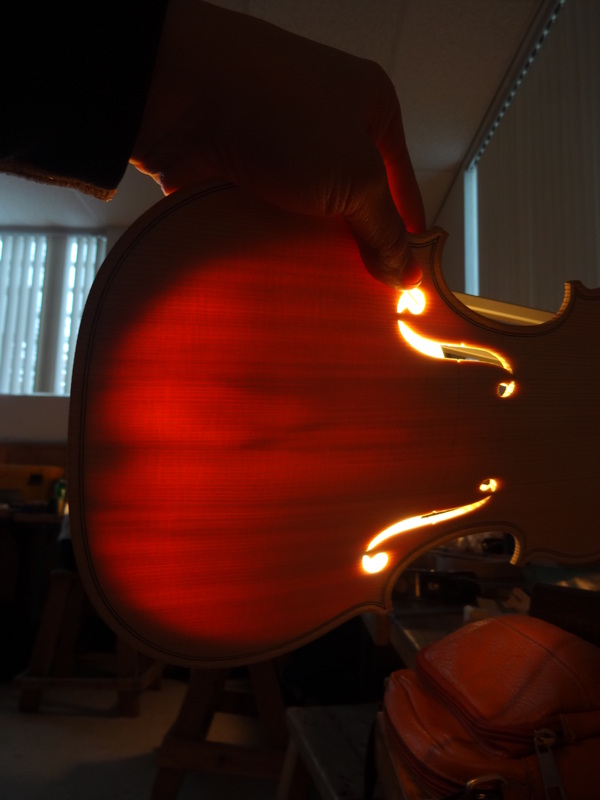 It’s unsettling at first, but quite a bit of light passes through that piece of spruce as it approaches final thickness. Take that, Alice Tully Hall! 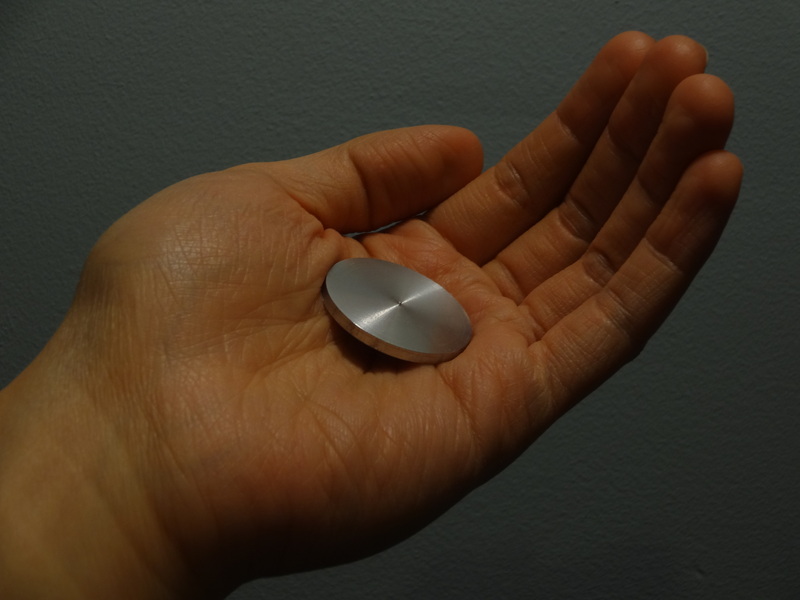 This coin, which I cut off from a cylindrical stock of aluminum spinning in the lathe (Manual Direct Input! T02 S1500 M03! Insert! Hand jog, .001, x-axis! ), is my token of inauguration into the world of CNC machining. What in the world have I gotten myself into?? 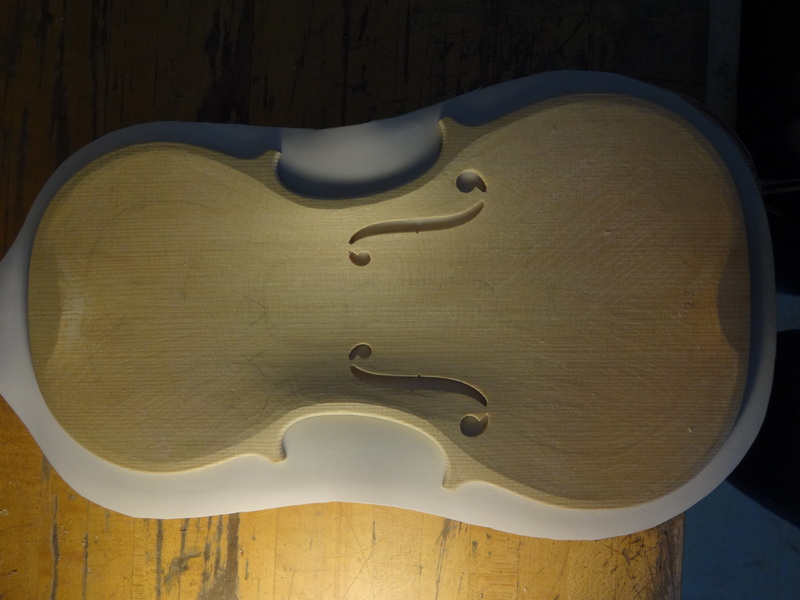 The CNC machining training sounds like an awesome combo with violin making. I recently saw a lecture by SITU fabrication. I am not sure you heard about them. They started their business straight out of architecture school purchasing CNC machines and they have some more fancy robots today. They started doing custom work for architects but now they do more design work themselves. They also filed a patent for a CNC router turned into a limestone grinder for removing fossils in a precise manner. Therefore making a bunch of geologists happy. That’s pretty cool. Fossils! So many possibilities!